This post is sponsored by Kraft. 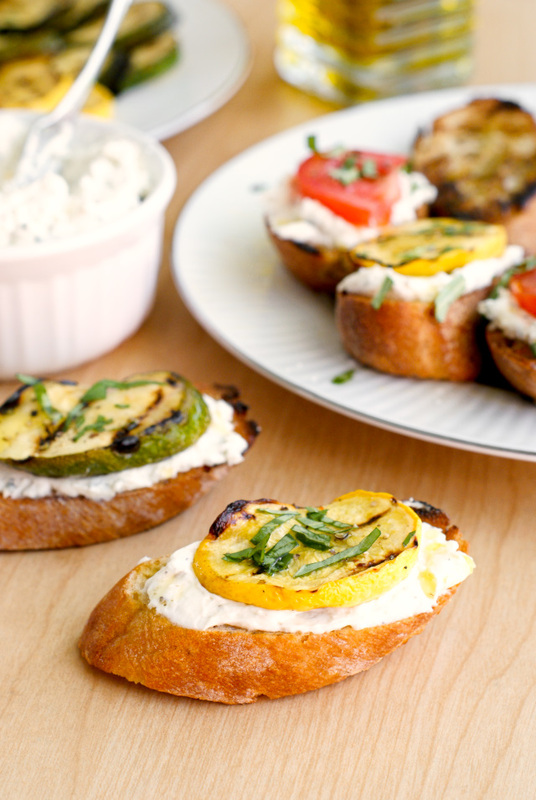 This Grilled Summer Squash and Tomato Crostini is the perfect summer appetizer featuring garden-fresh summer squash, tomatoes, and a Parmesan-herb cream cheese layered on a garlic toasted baguette. My husband and I have joked that it is impossible to live in Florida without a pool. The humidity can be pretty brutal here in the sunshine state, but somehow, when there's a pool involved, no one seems to mind the heat quite so much. That's why, when summer rolls around, we love to plan family gatherings poolside. My husband and I have three sisters each. When you add grandparents, husbands, and a gaggle of kids to the mix, and every family event is a party! When I'm planning a poolside party, I like to use my summer garden as inspiration for the menu. Summer yields some of the freshest flavors for my favorite recipes! 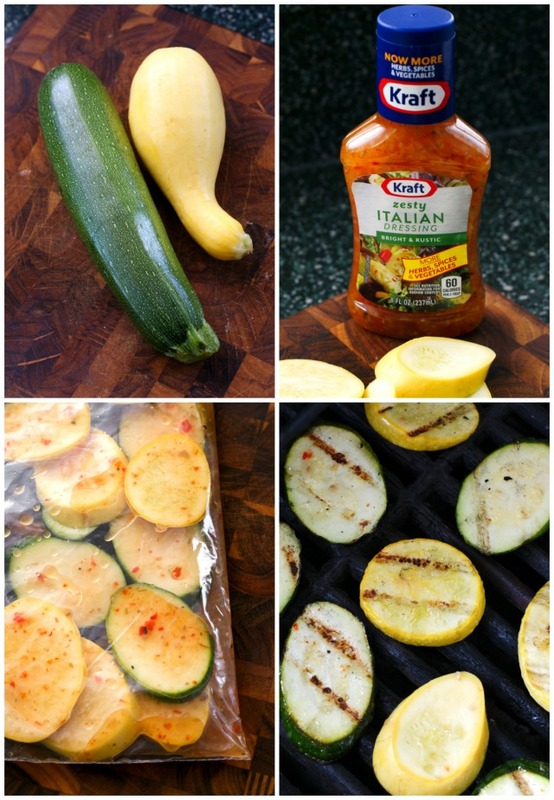 Cucumber recipes, summer squash recipes, fresh tomato recipes, and eggplant recipes are frequently prepared in my kitchen during the summer months. There's nothing quite as satisfying as harvesting fresh produce from your vegetable garden to cook with: garden to table! 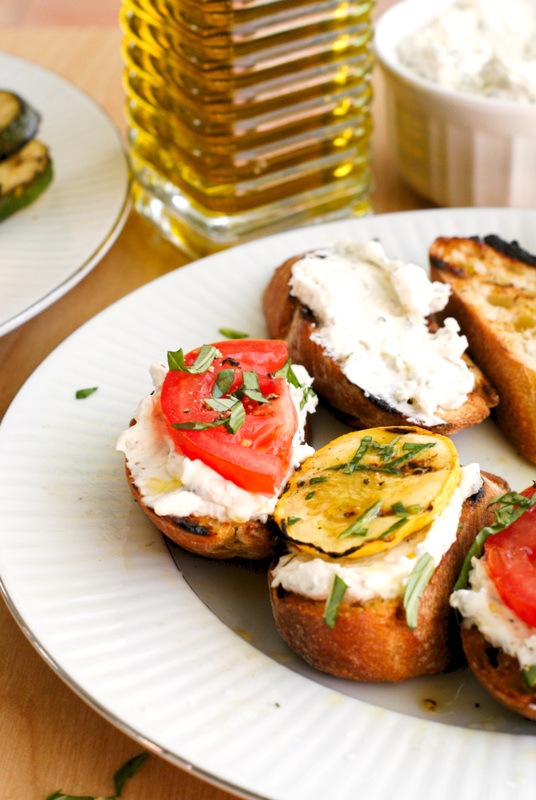 This easy crostini recipe takes advantage of summer's harvest and is the perfect poolside appetizer. 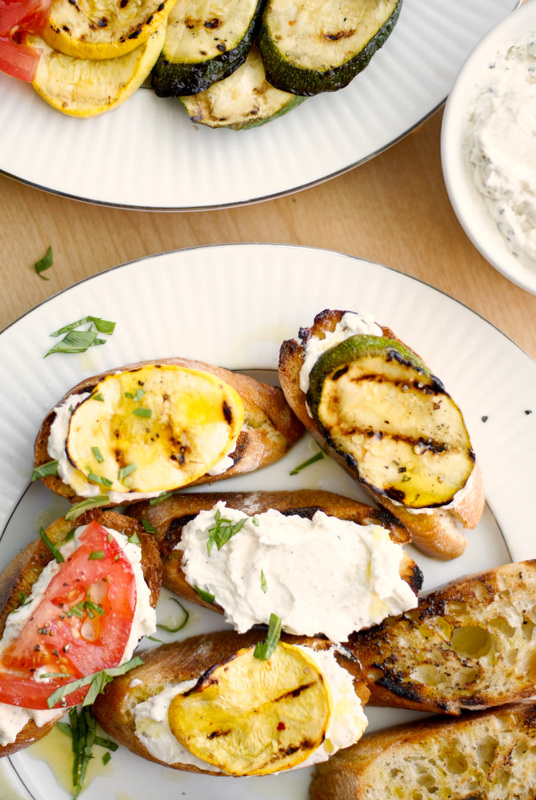 The baguette and summer squash are both prepared on the grill, so you can enjoy being outside with your guests while you cook! 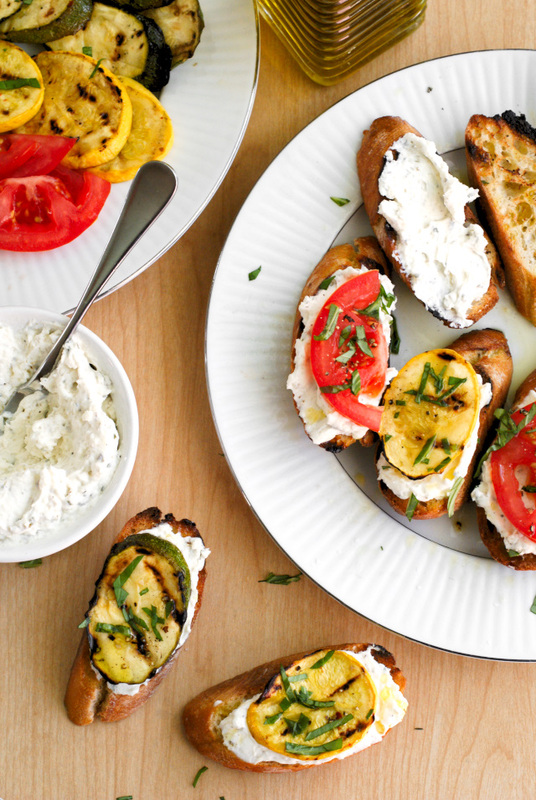 Click here for the full recipe: Grilled Summer Squash and Tomato Crostini. 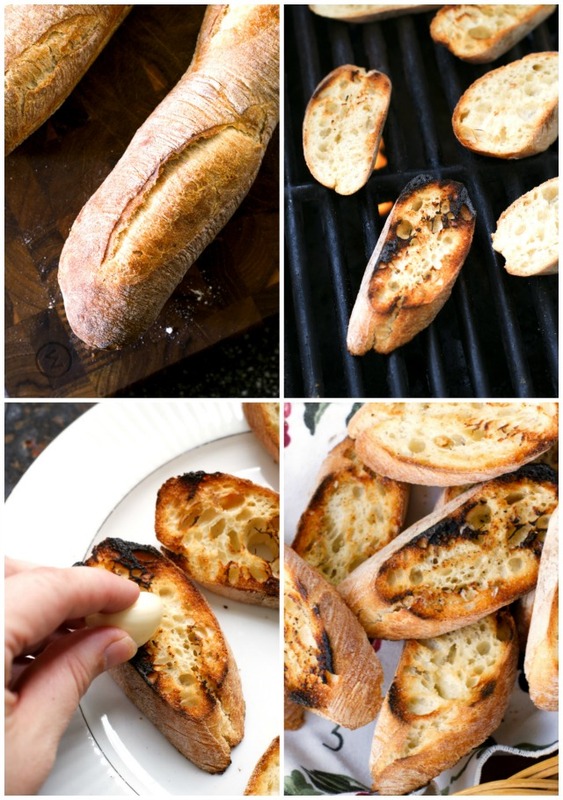 I’m a member of the Kraft Tastemakers—a community of kitchen aficionados contributing my recipes and stories to KraftRecipes.com. Kraft compensates me for my time and provides me with materials to make the lovely dishes you see. My stories, my opinions and my tastes are, as always, 100% my own!